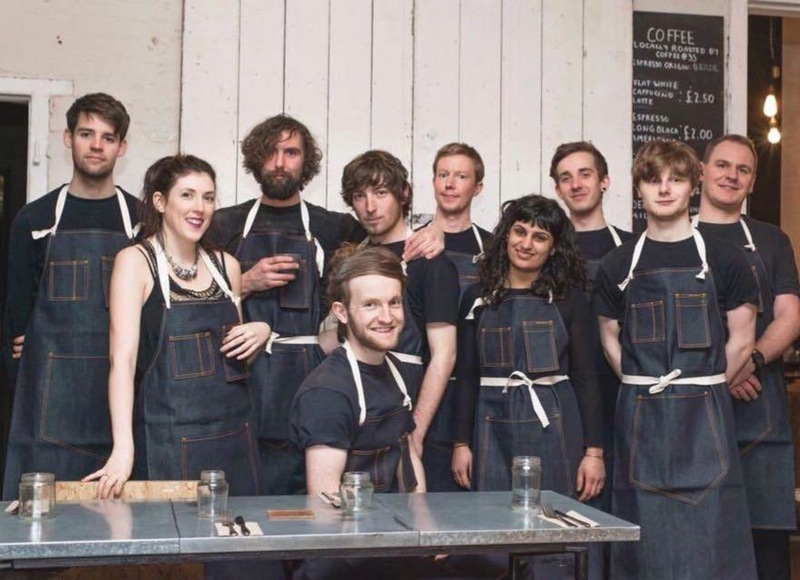 A dish from Silo, the UK's first no waste restaurant. Tucked in the quiet backstreets off Brighton’s lanes, Doug McMaster’s restaurant Silo is a typical modern eatery in many ways: industrial-chic fittings, chalkboard menu of vegetarian fare, white brick walls, chipboard tables and world music soundtrack. But dig a little deeper, and McMaster’s restaurant is a modest poster child for a grand ambition: to create a pre-industrial food system. We’re filming Doug as inspiration for a project for IKEA about future solutions for home food waste. His ultimate vision is a tight-knit network of conscientious producers, shops, restaurants and consumers working together to create a healthier, more sustainable, transparent, and financially viable alternative to the industrial food system. 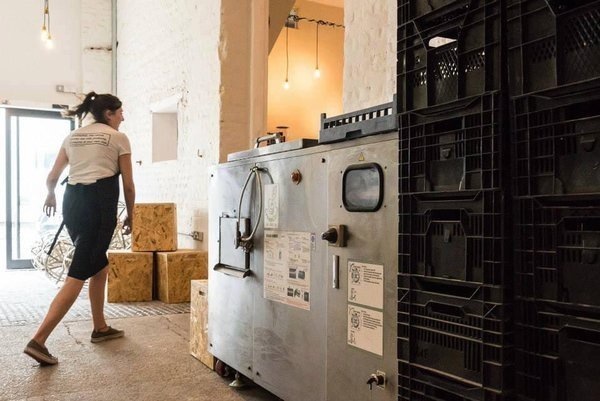 At the heart of that is a principle of zero waste, explains McMaster, who trained at top restaurants like Copenhagen’s Michelin-starred Noma and nose-to-tail stalwart St John, in East London. Zero waste proponents argue that people, and businesses, should aim—as the name suggests—to generate no waste, through refusing, reducing, reusing and recovering the products they use every day. 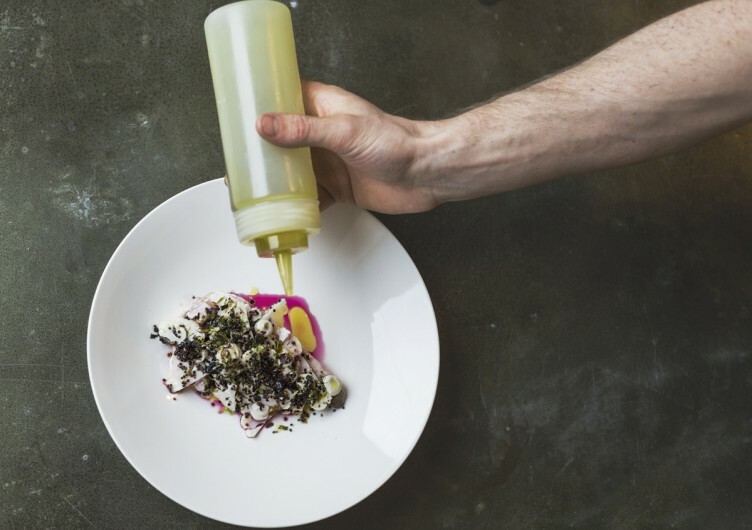 Over a sandwich, McMaster proudly tells us the story of his pop-up precursor to Silo in Australia, Joost, where, over two careful years, his team reduced the entire restaurant’s waste to just one, one litre jam jar. He’s similarly conscientious at Silo. All the food and drink served, he explains, comes from local producers with whom he has a strict no packaging policy. 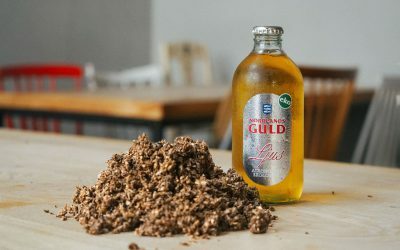 Ingenious recipes make creative use of ingredients to minimise waste—a whey ice cream, and pickled rose petals (the byproduct of cheese production and a florist, respectively) are clever examples. Organic waste, from coffee grounds to leftover cake, is fed to ‘Bertha’, the affectionately-named anaerobic composter which takes pride of place on site. The compost it produces goes back to his producers to fertilise their fields. Silo’s fittings are all upcycled—from old floor tiles that have become tables, to former school chairs, to the carrier bags that have found new life as colourful, swirl-covered plates. Silo’s part of a wider movement, though, looking at smart ways to make the food system more sustainable, from farm to table. It’s a pressing problem: by some measures we’ll be 9 billion people by 2050, requiring a 70 percent increase in global food production. We currently waste a third of food produced, consuming land, water, and using pesticides in our insatiable appetite for juicy prawns and plentiful pork chops. ‘Bertha’, Silo Brighton’s anaerobic composter. Photo by Silo Brighton. Squint hard enough and you can spot a view of the future: one where we use fewer raw resources, waste less, and build new businesses mopping up what’s left from the supply chain. One underpinned by digital, where we care more where things come from, grow things more economically, closer to where they’re eaten. Where we connect with a network of fellow foodies, making a little extra money on the side, and talk to our neighbours more. Where we’ll be more conscientious about where our food comes from, and how we dispose of it, too. What’s shaping this? First, people’s attitudes are shifting. 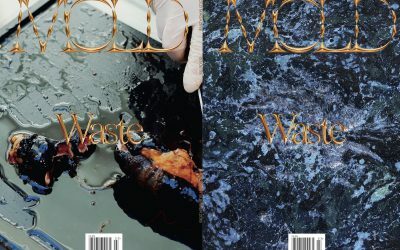 Alongside a longstanding, and growing segment of society choosing sustainable products, a more radical, quiet zero waste movement is emerging. 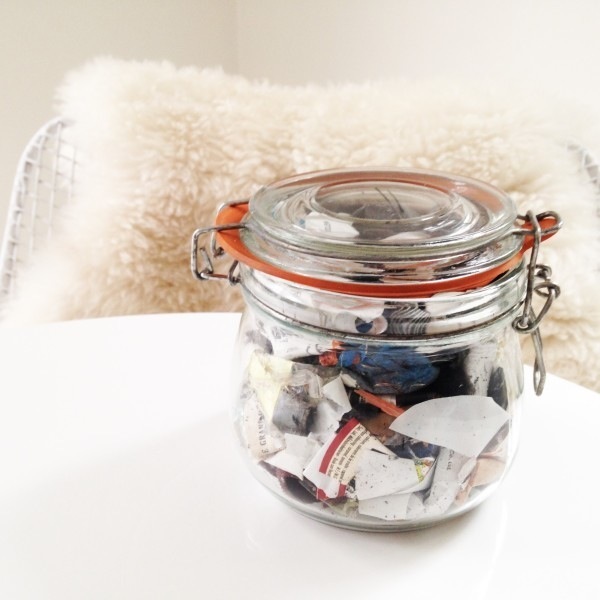 Influential bloggers like 42-year-old Californian Bea Johnson and her book Zero Waste Home: The Ultimate Guide To Reducing Your Waste are championing a very different approach to consumption, and inspiring followers worldwide. Expect their expectations to move sustainability from a nice-to-have to a central part of their buying decisions, and shaping brands accordingly. The first signs are perceptible at every turn. Take packaging: long a problem, the EU produces 15 million tons of plastic a year, or 156.9kg per person. We’ve been geeking out about Ooho, from Skipping Rock Labs, which is pioneering a seaweed-based spherical container that’s hygienic, biodegradable, and even edible. 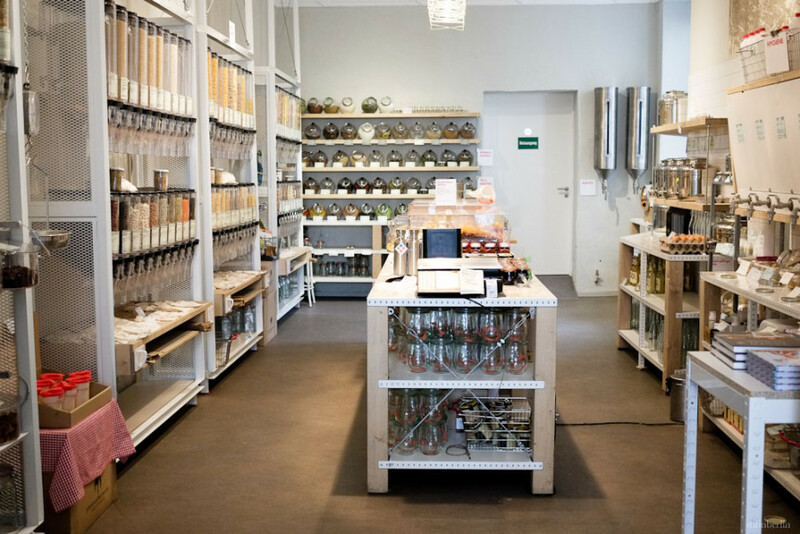 Going one step further, Berlin supermarket Original Unverpackt, has done away with food packaging entirely. 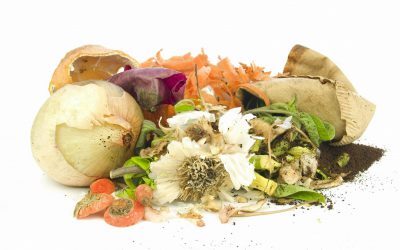 One big source of food waste, meanwhile is supermarkets’ drive for ‘perfect’ produce. According to the Soil Association, a whopping 20-40 percent of fruit and veg is thrown away for not looking right, despite one survey finding 65 percent of people would buy it, for a discount. Supermarkets like Asda, Intermarche and Tesco have capitalised: you can now buy ‘Ugly’, Inglorious’, or ‘Perfectly Imperfect’ parsnips, potatoes, apples and strawberries that once would have been discarded, for 30 percent cheaper. But one man’s trash is another’s treasure. There are also smart opportunities for businesses to capitalise at every stage of the farming, distribution, and disposal chain. As part of the IKEA project we also met Londoner Tom, who runs a small company called Rejuce. We joined him as he collected surplus fruit and veg heading for the rubbish from the vast New Spitalfields market, to turn into juices and soups to sell at festivals like Green Man, Bestival and Field Day. Companies like Regrained, and BTTR, meanwhile, take used wheat and coffee grounds, respectively, and turn them into cereal bars or compost. Closer to home, we’ve seen a raft of companies exploring urban farming and in-house hydroponics at a consumer level, as a way to dramatically cut down food miles and water, and make use of underutilised urban plots. 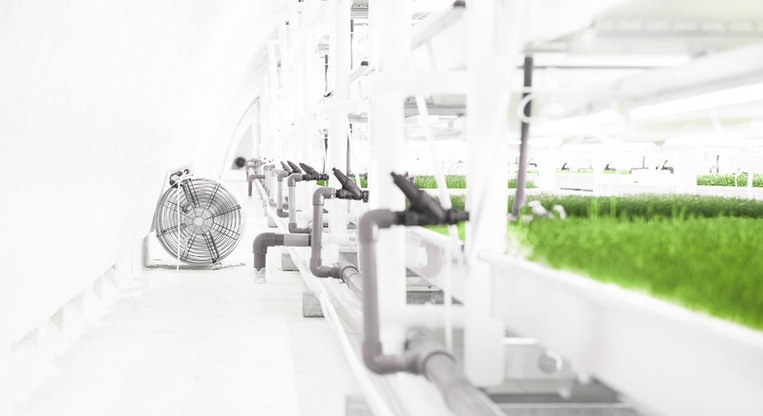 Those include INFARM, which is building digitally-controlled microfarm units, and Growing Underground, a startup in London growing microgreens in the old World War 2 tunnels under Clapham, in South London. Further out, efforts by biofabrication companies like Memphis Meats and Modern Meadow to grow meat in labs might end up as machines on our kitchen countertops, eventually. Technology isn’t just providing the hardware, though, but a platform to connect. Startups like Farm Drop and Farm Direct are using digital as a way to build more peer-to-peer systems, exploring ways to connect farmers to foodies more directly. 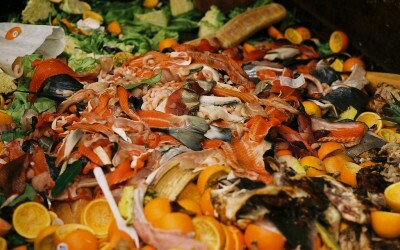 The likes of Cassoulet, AmpleHarvest.org, Leftover Swap and Olio are cutting food waste by sharing or selling surplus produce, or leftovers person to person in cities. The Pare Up app, meanwhile, allows New Yorkers to find bargains from local stores on about-to-expire food. For the laziest among us, perhaps we’ll be sending our leftovers off via autonomous delivery robots like Starship Technologies. Grass roots as these efforts are, zoom up to 30,000ft, and organisations like the Ellen Macarthur Foundation are taking a system’s level view, specifically the radical shift to a more Circular Economy. Partnering with huge multinationals like Unilever, Nike, IKEA, and many others, they’re arguing for eliminating waste from the supply chain, and every byproduct fuelling another part of the ecosystem within in which it exists, mimicking nature. Companies like Patagonia are successfully pioneering how these new businesses might put sustainability at the heart of their company, and be wildly profitable in doing so. Take their new bison jerky, sourced to foster better grasslands, as well as provide delicious food. 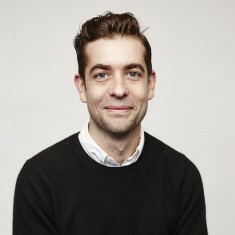 This article first appeared on IDEO.com.